A private investor has acquired a nearly 140,000-square-foot office building in Piscataway, following a sale brokered by Colliers International and the online platform Ten-X. The firms this week announced the sale of the property, 371 Hoes Lane, to Brandon Rolnick for an undisclosed price. Its new owner is now planning several upgrades to the complex, which is 27 percent occupied, in an effort to attract new tenants and drive rent growth. The Colliers investment sales team, which represented the seller and procured the buyer of the 138,629-square-foot building, was led by Jacklene Chesler and includes Patrick Norris, Matthew Brown and Angelo Vitale. They said the hybrid approach with Ten-X resulted in 10 qualified, active bidders and the execution of 135 confidentiality agreements. Jersey,” said Chesler, whose team is based in Parsippany. She noted that vacancy in the submarket has dropped from 18.5 percent in early 2016 to 11.6 percent by midyear 2018, while rental rates during that period have increased by more than $1 per square foot. Colliers said the property’s access to both New York City and Philadelphia, as well as Rutgers University in New Brunswick, made it attractive to investors. Built in 1989 and renovated in 1997, 371 Hoes Lane features a dramatic glass atrium and black glass façade, plus an abundance of parking with a ratio of 4.25spaces per 1,000 square feet. A leasing team from Colliers International, consisting of Richard J. Madison and Jack Callahan, will remain as leasing agents for the property. 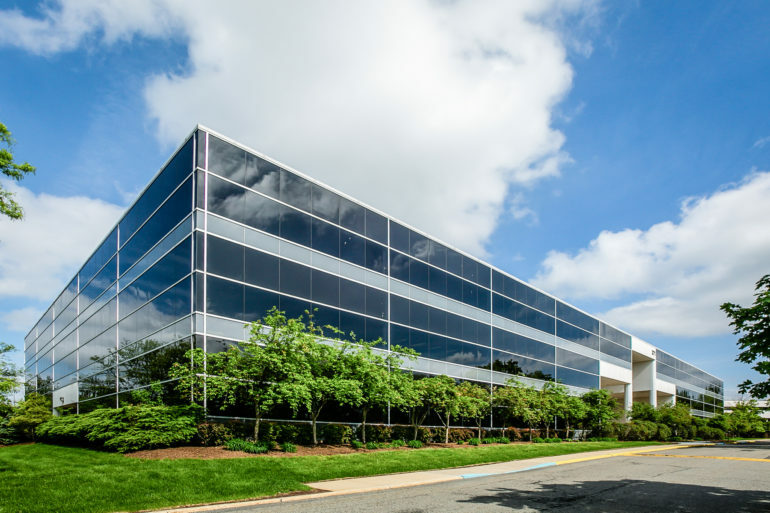 The deal follows Colliers’ sale of three other office buildings in Piscataway over the past two years: 1 Centennial Plaza, a 245,000-square-foot building; 15 Corporate Place South, a 162,000-square-foot building; and 1 Corporate Place South, an 89,000-square-foot building. The team is now marketing another complex in the township, a value-add 65,000-square-foot office and redevelopment opportunity at 225 Old New Brunswick Road.